At present there is little attention paid to our architectural heritage built after the end of World War 1. However there are many buildings, public and private, from the 1920’s into the 1950’s that deserve our appreciation. The Capitol Theatre (1925), the Terrace Apartment (1929), the Medical Arts Building on Baker (1930), The Civic Centre (1935), the Chrysler Dealership on Hendrix (1936), the Scandinavian Church (1933) etc. In these early years the work of the contractor A.H. Green, who was involved in many of those buildings also deserves more credit. By the mid-1930 the firm of F.W. Williams and his wife Ilsa Williams, and later the work of D. Fairbanks all have iconic significance in the physical fabric of Nelson: the former Forestry building (now the Community First Health Co-op) on Lake Street (1952), the Gateway building on Front street (1936) and most importantly Mount St. Francis (1949). These two generations of architects have also created many fine residences throughout the city. 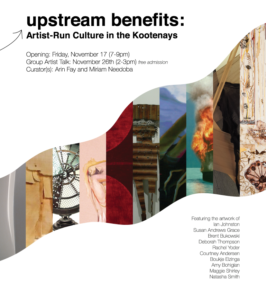 The ‘Upstream Benefits’ Exhibition involves ten artists: Courtney Andersen, Susan Andrews Grace, Amy Bohigian, Brent Bukowski, Boukje Elzinga, Ian Johnston, Maggie Shirley, Natasha Smith, Deborah Thompson and Rachel Yoder, a sampling of the impressive caliber of artists that call the Kootenays home. The artists involved in this exhibition example how artist run culture in the Kootenays has been supported and developed over the last decade. The place in which we live is an important part of the creative process; artists are informed and fostered by place, where they live and where the work was conceived and created. Each artist will display an early instrumental piece – from their tenure here in the Kootenays, in tandem with a new work which will illustrate the evolution of their respective creation/styles/approach. This exhibition is about artist run culture, about the creative process and the importance of place. For more information on the artists, please click here. The ‘Members’ Show and Sale’ exhibition events are excellent opportunities to get a visual measure of our membership and reciprocate the support that our members give us as an organization. The last member exhibition took place in 2014 and was a beautiful and eclectic showing of the talent, dedication and passion that exists within the community. 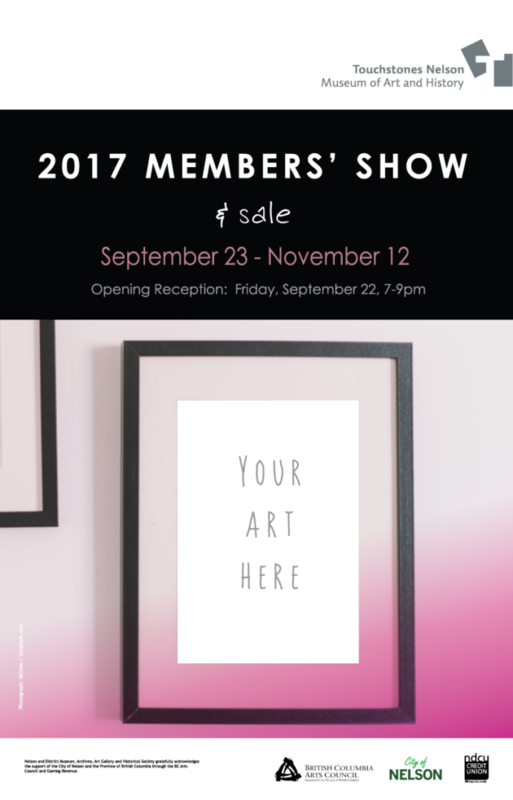 It is with great pleasure that we invite our membership to participate in the ‘2017 Members’ Show and Sale’. River Relations Interdisciplinary Research Team: Matthew Evenden, Rita Wong, Fred Wah, Nick Conbere, John Holmgren, Genevieve Robertson, Emmy Willis, Zoe Kostuchuk. Explore the diverse, seven-decade-long art practice of the formidable Jack Shadbolt (1909-1998) and the ‘Momentum’ exhibition. 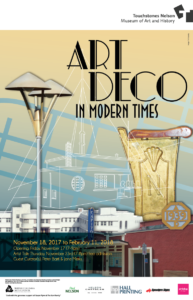 Works include early 1930s sketches, commissioned silkscreen play posters, painterly abstractions, and lithographs in this touring exhibit from the Burnaby Art Gallery, curated by Jennifer Cane. 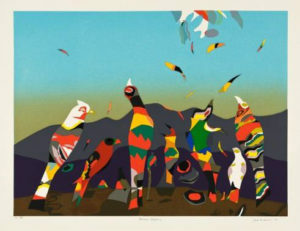 Jack Shadbolt had a long a wide-ranging career: student, war artist, teacher, muralist and artist of the highest order (Order of Canada, 1972). Shadbolt lived in several regions of Canada, including the Interior of British Columbia and Saskatchewan, but the majority of his life was spent on the West Coast. Jack Shadbolt was a friend and contemporary of Emily Carr, he was influenced by Pablo Picasso, and developed a style which beautifully marries the honesty and observation of landscape with the commentary of social realism. Terms used to describe Shadbolt’s style: turbulent – vitality – improvisational. Geo. A. Meeres, Nelson, BC. George A. Meeres was a professional photographer who moved to Nelson in 1924. Soon after he purchased the Campbell Art Gallery (which would later become Vogue Photographic), which he ran until 1936. Always detailed and meticulous in his work, he later adopted the motto, “a good photo or none”! Drawn from the Shawn Lamb Archives at Touchstones Nelson, this exhibit will feature reproductions of some of the cellulose nitrate photos he took during his time in Nelson. Startling in their depth and composition, the photos are a testament to his skill and vision as a photographer. They also offer a fascinating glimpse into our community at that moment in time, through the groups, businesses and landscapes he documented. Tanya Pixie Johnson is an artist defined by her obsessive sorting and gathering; of found materials, ideas and human experiences. 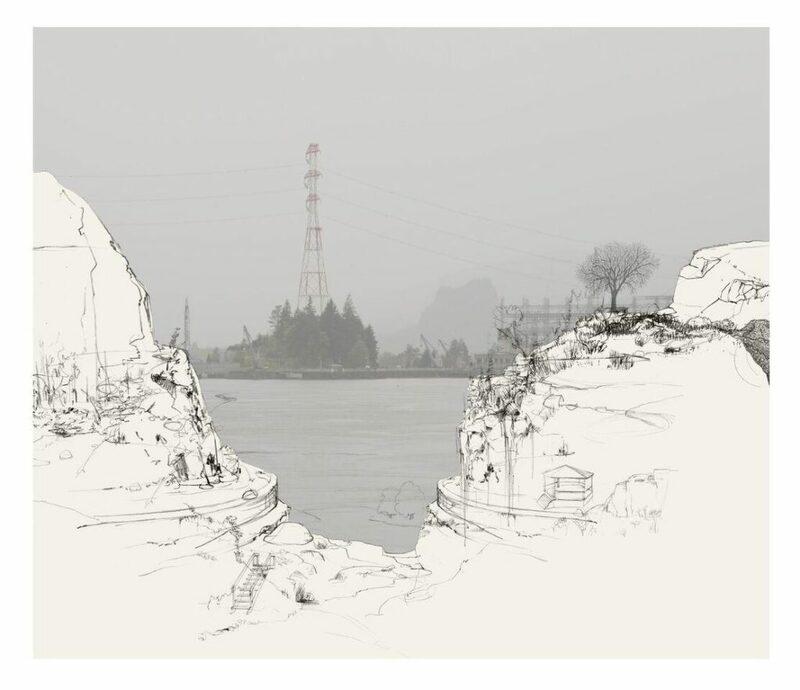 With roots in rural British Columbia Tanya P’s practice has an astounding reach due to her penchant for residencies in far-flung places and an unrelenting engagement with land, people and place; both ephemeral and essential. 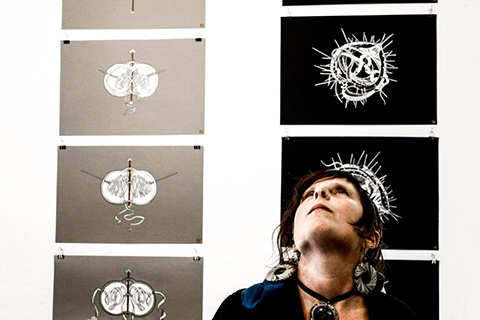 From her birth in Nairobi, Kenya and childhood in South Africa, to her bohemian wandering in Europe, to her current place in the Kootenays, Tanya P has delved deeply and with a focused abandon into the dichotomies of human experience. In between the shadows of influence and idolatry beats the heart of pure and unrelenting artistic inquiry. Integrating the aesthetic of collage, assemblage and found art, a cabinet of curiosities meets ceremonial altar. Fetish meets artifact. Ritual object meets family photo album. Flotsam and jetsam meet the edge of the bog. Light meets dark. 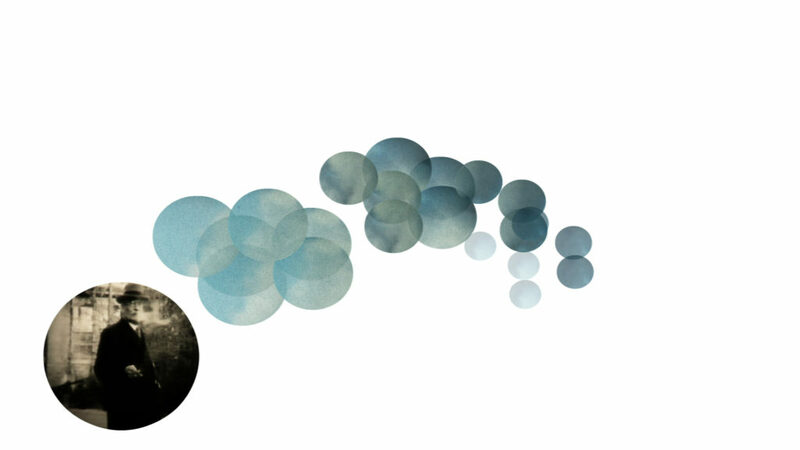 Edge of the Light explores notions of paradigm and ideas of meaning found at allegorical edges and in liminal spaces.